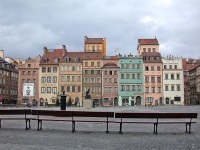 Warsaw may not have the obvious aesthetic appeal of Krakow, but the city has many hidden historic gems and a meticulously rebuilt Old Town which stands as tribute to the resilience and determination of its population. Many of Warsaw's historic sightseeing attractions are clustered in and around Old Town (Starego Miasta), with Market Square at its heart. This part of the city, famously rebuilt after the devastation of World War II, is a warren of cobblestone streets and alleys towered over by Gothic and Baroque buildings and palaces, and colourful, tiered homes. Many of the city's best museums can be found in this area, which is best explored on foot. Another great way to take in some of Warsaw's best historic sites is to tour the Royal Way, the route stretching from the Royal Castle in Old Town to the King's Palace at Wilanow, which is lined with museums, palaces and historic buildings, including St Anne's Church. The graveyards of the city also allow a step back in time: the Jewish Cemetery (Cmentarz Zydowski) is romantically overgrown in summer and spookily snow-covered in winter, and is a moving and picturesque site to explore; and the famous Powazki Cemetery is home to some remarkable sculptures and grave markers. For some outdoor fun go strolling, paddling and picnicking in the lovely Lazienki Park, the most popular of Warsaw's green lungs. There is a monument to Chopin in the park, which is frequently a venue for outdoor concerts. For those travelling to Warsaw with kids the Copernicus Science Centre is a great rainy-day attraction.